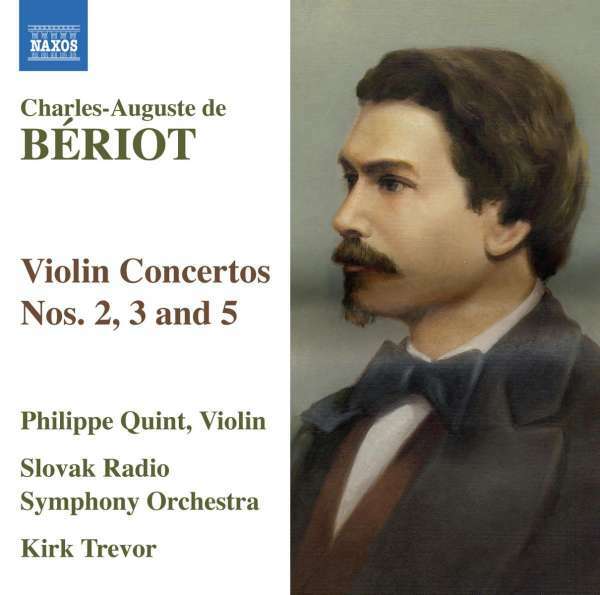 Der Artikel Charles-Auguste de Beriot (1802-1870): Violinkonzerte Nr.2,3,5 wurde in den Warenkorb gelegt. One of the most distinguished violinists of his time, Bériot was the father of the Franco-Belgian school of violin playing. His ten violin concertos display the youthful élan and high spirits of early romanticism. Bériot combined elements of the French School charm and taste with the new pyrotechnics pioneered by Paganini. 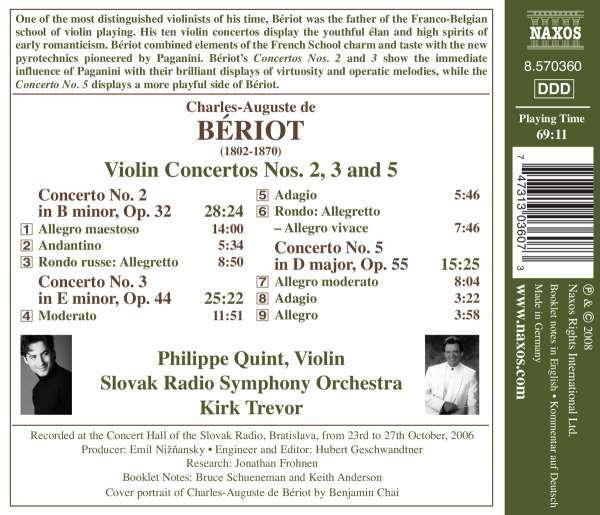 Bériot's Concertos Nos. 2 and 3 show the immediate influence of Paganini with their brilliant displays of virtuosity and operatic melodies, while the Concerto No. 5 displays a more playful side of Bériot.